Kangaroos felt my presence, suddenly head up and searched where I am. I took this photo using my 75-300mm lens on an early morning walk around half passed six in the morning outside our camp site at Capital Country Holiday Village which is 24 kilometres north of Canberra. Wild Kangaroos abound around the perimeter of the camp site looking for food and this was my second time to take photos of them. My first attempt was futile; they all leaped away from me when they sensed me getting closer to them and perhaps heard the crackling of my footsteps on the stony, bushy ground. So, on my second attempt the fact that I already knew where they were, I carefully maintained silence while slowly walked on to where they were, aware of a certain distance that they will not be disturbed while at the same time zooming and focusing my lens. The result was good and this photo was one of them. Kangaroos have large, powerful hind legs, large feet adapted for leaping, a long muscular tail for balance, and a small head. 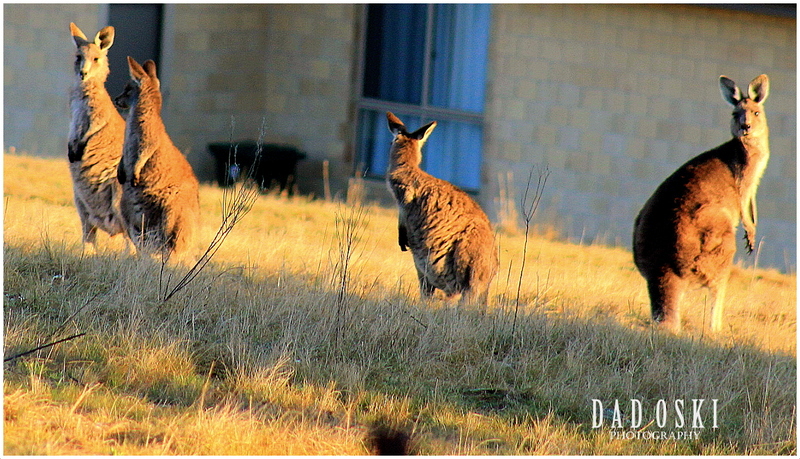 Like most marsupials, female kangaroos have a pouch called a marsupium in which joeys complete postnatal development. Larger kangaroos have adapted much better to changes brought to the Australian landscape by humans and though many of their smaller cousins are endangered, they are plentiful. They are not farmed to any extent, but wild kangaroos are shot for meat, leather hides, sport, and to protect grazing land for sheep and cattle. Although there is some controversy, harvesting kangaroo meat has many environmental and health benefits over traditional meats. The kangaroo is a national symbol of Australia: its emblem is used on the Australian coat of arms, on some of its currency, as well as by some of Australia’s well known organisations, including Qantas. The kangaroo is important to both Australian culture and the national image and consequently there are numerous popular culture references. 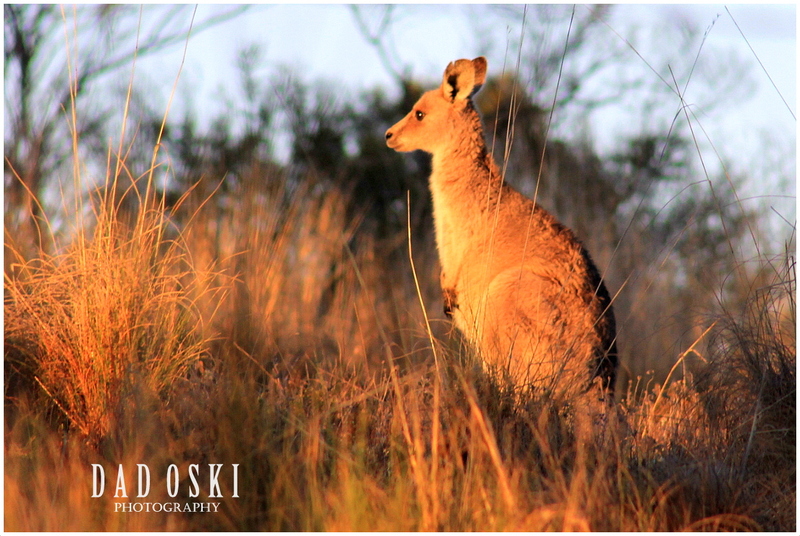 Another wild Kangaroo in the bushland approximately 100m away from our camp site. 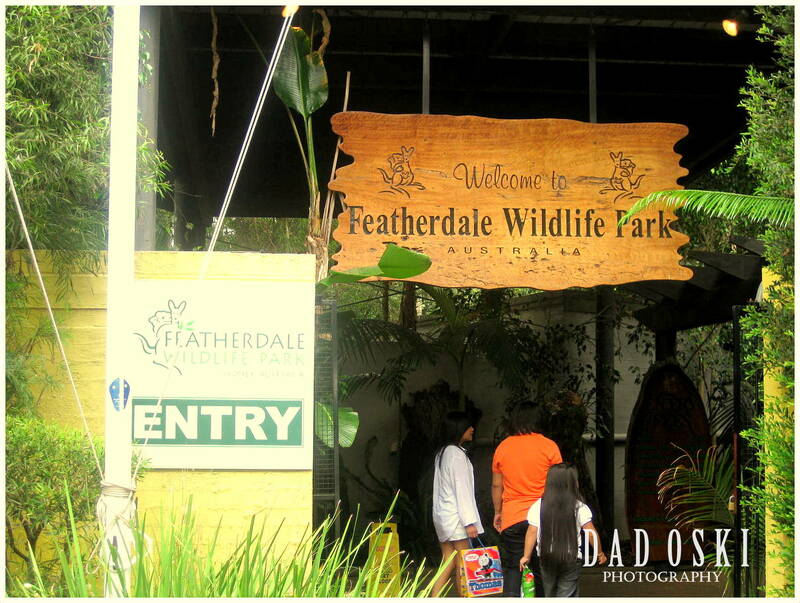 This is the Featherdale Wildlife Park located in Western Sydney, now a prime tourist attraction here and the best wildlife park in Australia. It was just a poultry farm in 1953 and now holds a lot of enormous collection of Australian mammals, birds and reptiles. I’ve been here two times now and the last was when a friend held a birthday party of his first born son at the function room inside the park. I would recommend for you to visit it someday. I noticed that visitors love most to get closer to the Australian animal icons like Kangaroos and Koalas, fed and touch them more than any other animals, and the crocodiles, they’re just curious to see them especially when they open up their big mouth. The wildlife at the zoo. 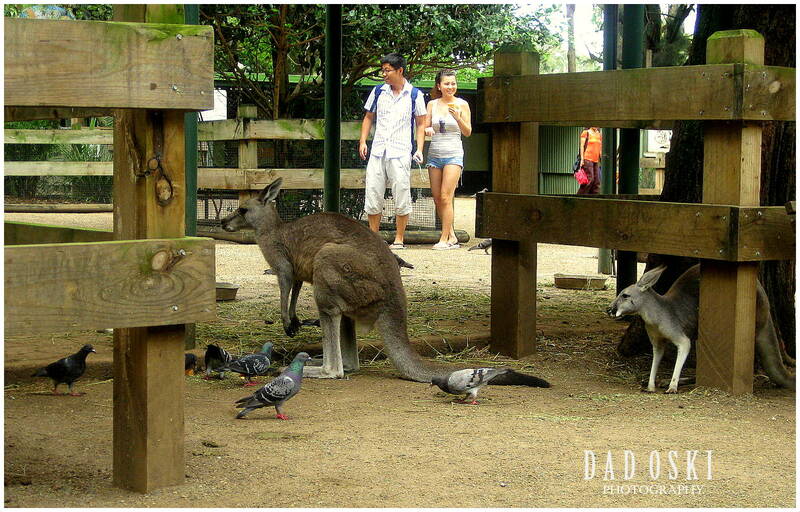 Inside the zoo, birds do abound, they have native birds including eagles, owls, brolgas, emus, cockatoos and lorikeets. Also they have penguins, marsupials including kangaroos, wallabies, echidnas, bilbies, wombats, Tasmanian devils and, of course, koalas and reptiles including, crocodiles, lizards, snakes and frogs. They even have a farmyard with an assortment of farm animals for the kids to watch, become familiar with and feed. Do you love the wildlife, too? 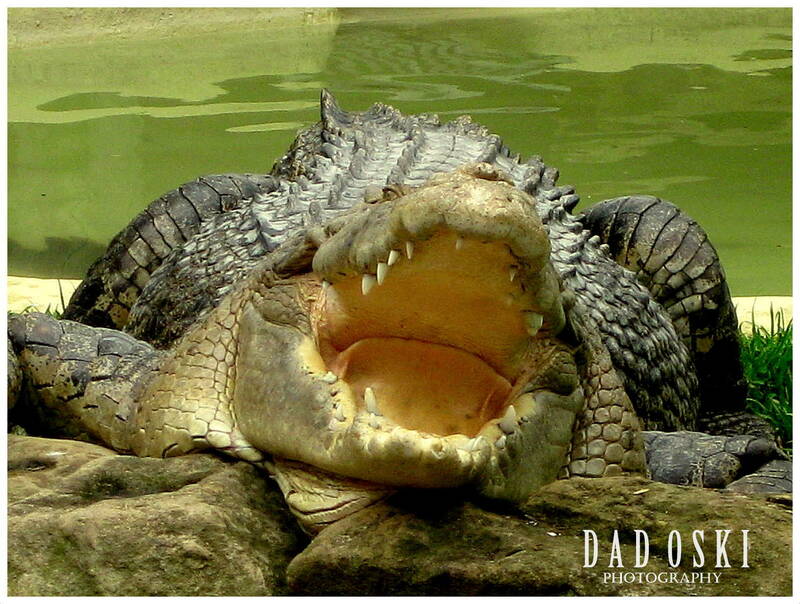 A crocodile perhaps hungry or angry?